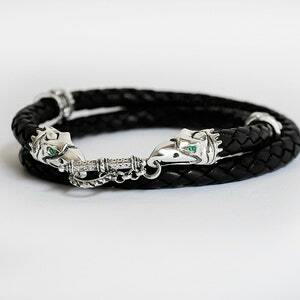 This is "God of the Arena" gladiator Gannicus's Celtic Dragon Champion necklace - a replica of screen worn gladiator necklace from multiple episodes of Spartacus TV series. 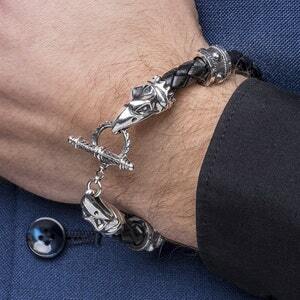 Worn by GANNICUS (actor: Dustin Clare) it completes the collection of Spartacus jewelry replicas by Silver lab. Later in series the necklace evolves into a "Harbinger of death" necklace owned by gladiator Crixus (actor: Manu Bennet) - "Undefeated Gaul" which is also available at our Etsy store. Gannicus gives it to Crixus in the seasons finale and we see its modified version (without the celtic dragon) on Crixus from the beggining of the "Blood and Sand" season. 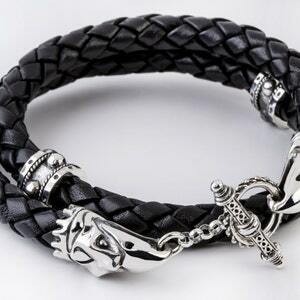 This item is genuine black leather bolo cord with 2 sterling silver crow heads holding a bronze celtic dragon figure with a stylyzed man shape on each side. 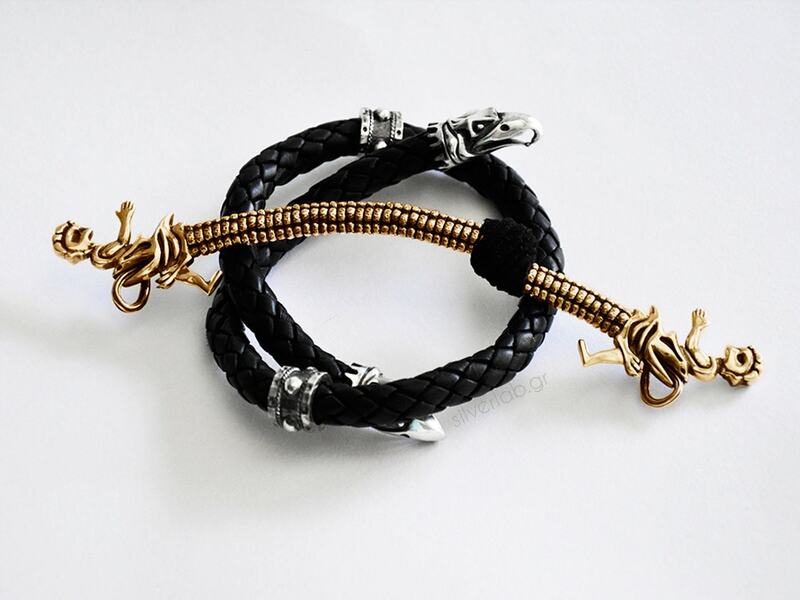 It's handcrafted to a smallest detail and set on a GENUINE LEATHER cord for extra durability. You can wear it to any occasion: shower, sea, gym and so on. There are two silver rings on each side of the necklace. 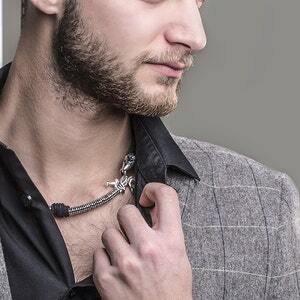 The bronze dragon embellishment on the front of the necklace is also a thin black genuine leather cord. All the metal details are sterling silver 925* and bronze . This item is staged to look slightly distressed. via registered airmail with tracking code! The collar is amazing, all the details are awesome and the silver and the bronze are of a rare breed. Love this item! !